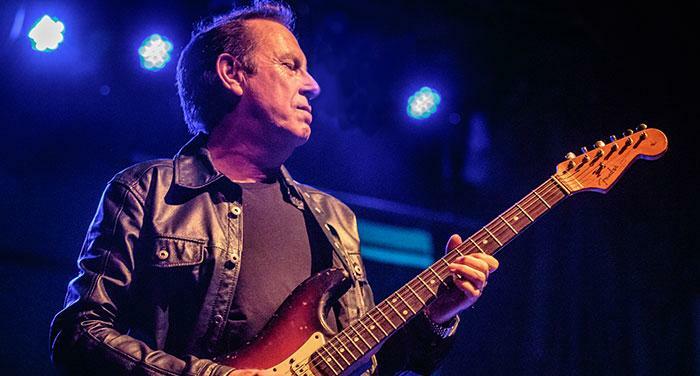 Public Voting Open, 9 days to Women's Blues Revue, Jack de Keyzer, Janet Zopfi and more! Registration and voting for the 22nd Annual Maple Blues Awards is now open to public until December 1st , 2018 at 11:59 pm Pacific Standard Time. Click on the button to see the complete list of nominees. The 32nd edition is around the corner, featuring some of Canada's finest musicians backed by the all-star Women's Blues Revue Band: Rebecca Hennessy (Bandleader/Trumpet), Elena Kapeleris (Sax), Emily Burgess (Guitar), Carrie Chesnutt (Sax), Morgan Doctor (Drums), Lily Sazz (Keys), Anna Ruddick (bass). The Women's Blues Revue will take place at Roy Thomson Hall on Friday , November 16 at 8pm . Alana Bridgewater , Dione Taylor , Suzie Vinnick , Samantha Martin , Nicky Lawrence , and Chloe Watkinson are part of our star-studded lineup. The night is hosted by Shakura S'Aida . Tickets are on sale at Roy Thomson Hall's website . 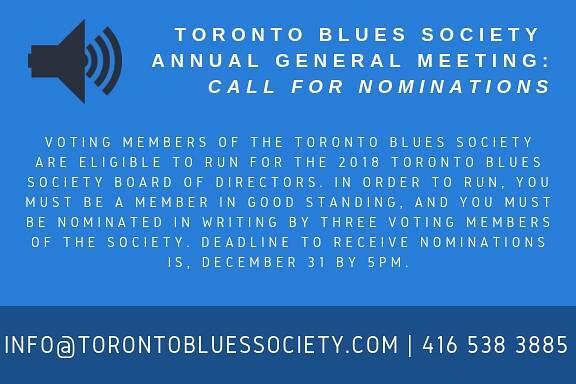 TBS Charter Members can contact the TBS Office at 416-538-3885 or via info@torontobluessociety.com to retrieve their promo code and access to 20% discount . In addition to her session work, Anna has performed live with a who’s-who of Canadian artists (including Randy Bachman and Paul Reddick) most recently or currently Ben Caplan, Erin Costelo, Fefe Dobson, Tom Wilson (Lee Harvey Osmond), The Strumbellas, Ian Blurton, Kaia Kater and Sarah MacDougall. See more info about Anna on our website ! 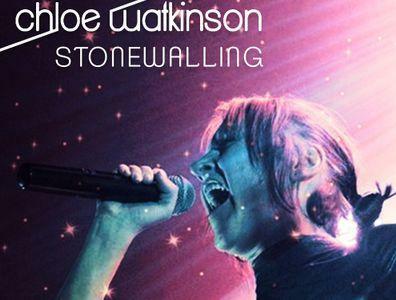 Women's Blues Revue guest musician , Chloe Watkinson, has just released a new single: " Stonewalling ". 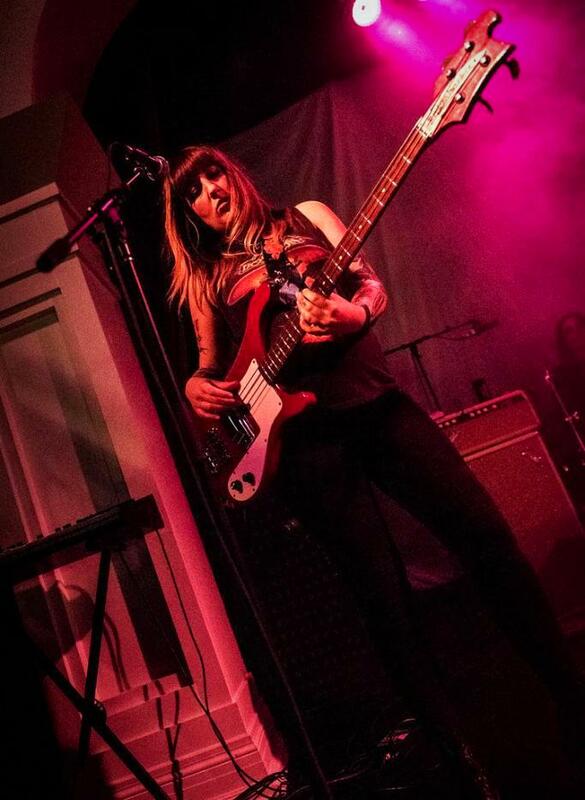 Tameside Radio in the UK dubbed the tune " Heart-wrenching blues for the 21st century " so you better check it out to have a sneak peek of what to expect at the upcoming Women's Blues Revue show on November 16th! Last Friday, November 2nd, Joe Bonamassa blew the roof off of Sony Centre for the Performing Arts in Toronto. 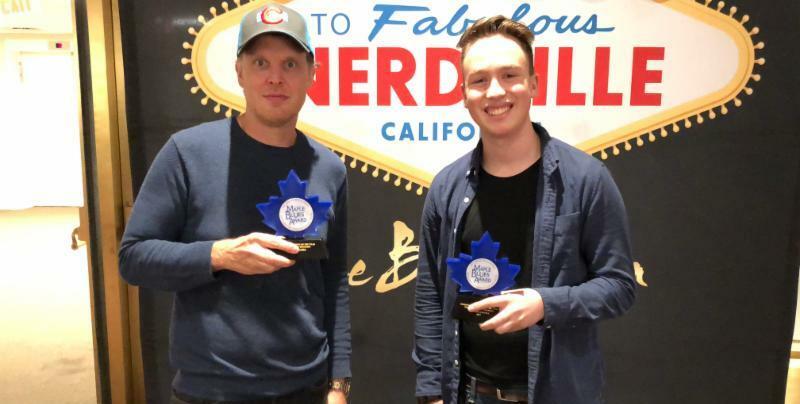 He was handed his "International Artist of the Year Award" from the past Maple Blues Awards by Spencer MacKenzie , one of Canada's up-and-coming blues musicians, before the show at a special meet & greet. Congrats Joe Bonamassa again for his win and thank you to Spencer for presenting the award on behalf of TBS! Jack de Keyzer will be heading to Memphis to represent Toronto Blues Society at the International Blues Challenge . Though an honour to partake in this adventure, Jack will be covering flights, accommodation, car rental and meals for 6 (band + road manager) for 9 days. Therefore, a fundraising campaign has been set up aiming to secure finances by November 8 . Your contribution will help the Jack de Keyzer Band head down to the birthplace of the blues this January to compete and represent Toronto! He already reached $3,000 out of $4,000 which is his goal! 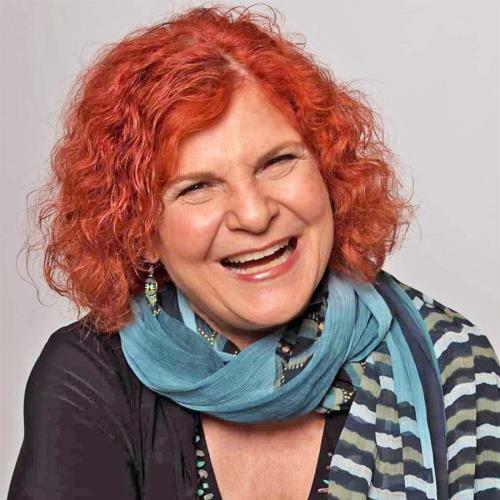 The Toronto Blues Society would like to pass its sincere condolences to Janet Zopfi's friends and family. Janet has always been a great supporter of our organisation as well as Blues music in town. We mourn the passing of her, who was loved dearly as a member of our Blues community. 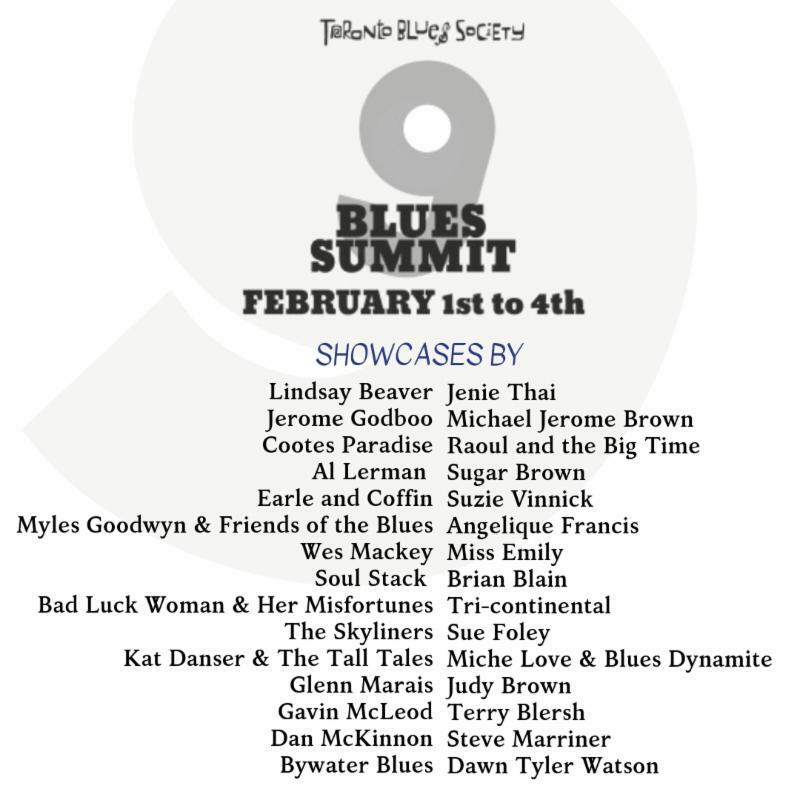 Produced by Toronto Blues Society bi-annually, the Blues Summit is Canada’s not-to-be-missed forum for all members of the blues music community including artists, presenters, agents, festival bookers, event organizers, radio hosts and industry representatives of all kinds. 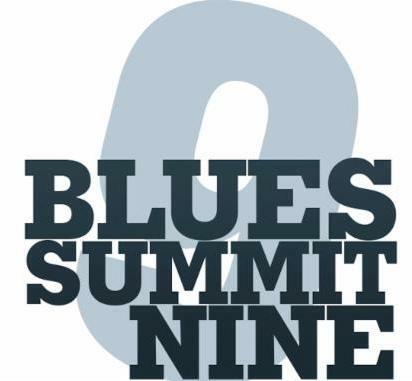 The conference provides an opportunity for members of the community to connect as well as for artists to showcase in front of blues industry professionals. 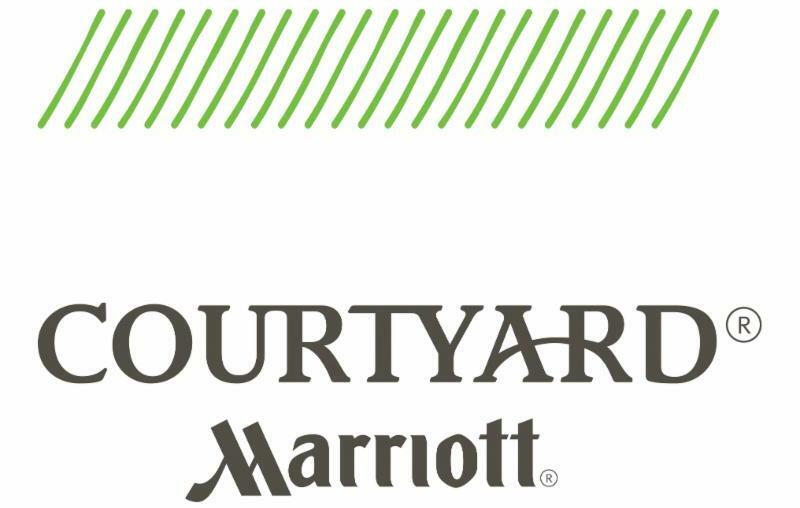 We are delighted to work with Marriott Courtyard as our host hotel for the Blues Summit 9 which takes place in February 1-4 . All the Blues Summit events and panels will be at the Marriott Courtyard in downtown Toronto. Guests who would like to benefit from the special TBS room rates starting at $139 for their stay during the Summit, can contact the TBS Office at info@torontobluessociety.com until Friday, January 18, 2019 . The Summit will close with the 22nd Annual Maple Blues Awards on February 4th at the Koerner Hall . Please note that tickets to the Awards gala must be purchased separately . Register today to take advantage of early bird pricing! Prices include HST and fees. Please contact TBS Office to access the promo code. 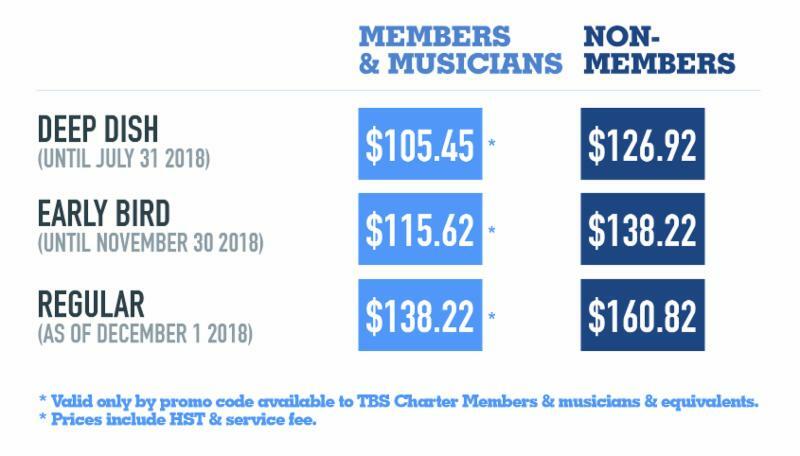 Join TBS today for special member pricing! An audience favourite, Raoul Bhaneja will charm and entertain attending blues fans through the night. Humour, sharp wit and a few surprises are anticipated at The 22nd Maple Blues Awards as actor and musician Raoul Bhaneja returns to Koerner Hall to host the night! 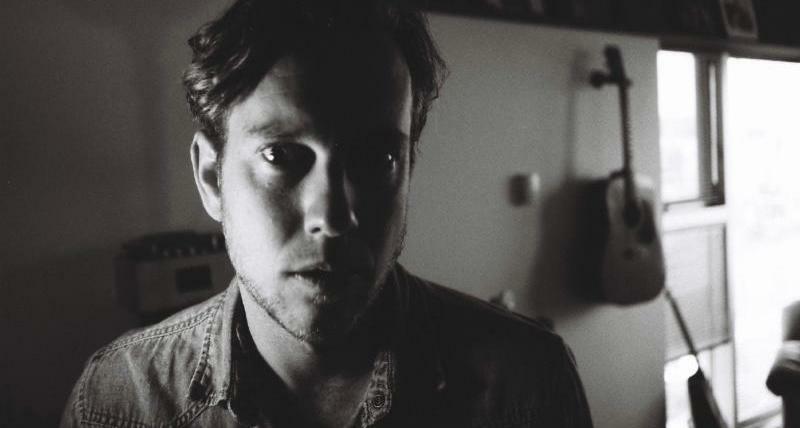 A winner and six-time Maple Blues Award nominee, Raoul competed at the semi-finals of the 2018 International Blues Challenge in Memphis with his band, The Big Time. Public tickets are on sale now, so grab yours while it lasts and get ready for a star-studded lineup of performers! Tickets are available through the Koerner Hall Box Office . TBS Charter Members and Equivalents are eligible to purchase the best available seats at a discounted price, for only $35/ticket ! 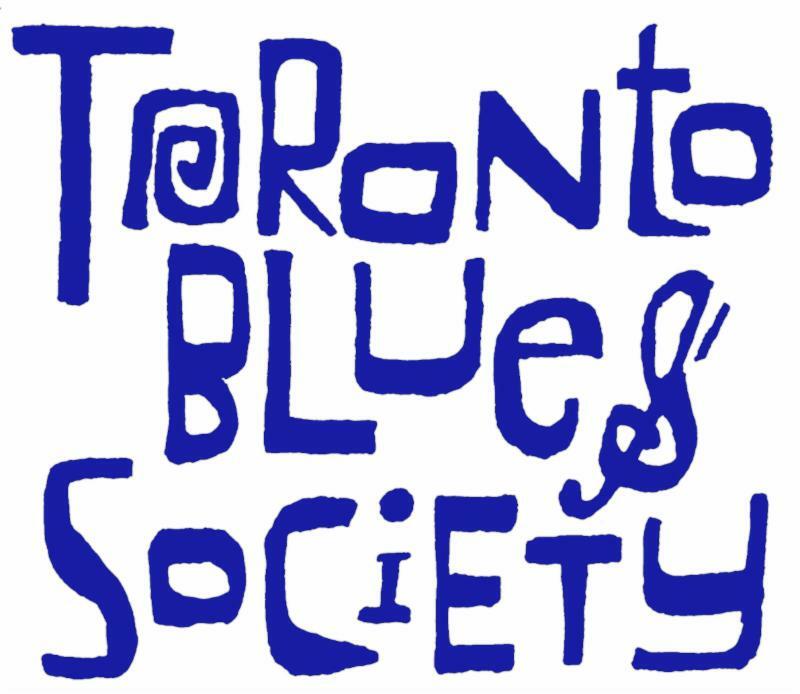 Contact the TBS Office at 416-538-3885 or via info@torontobluessociety.com to retrieve your promo code . The Maple Blues Awards is Canada’s national blues awards program. Its goal is to promote blues music across Canada, and to recognize outstanding achievement in the field. Winners in all categories (excluding the instrumental categories) are decided by blues fans across Canada. Voting occurs online each November. You can now watch the show, highlights and the performances from the past MBAs on our Youtube channel . 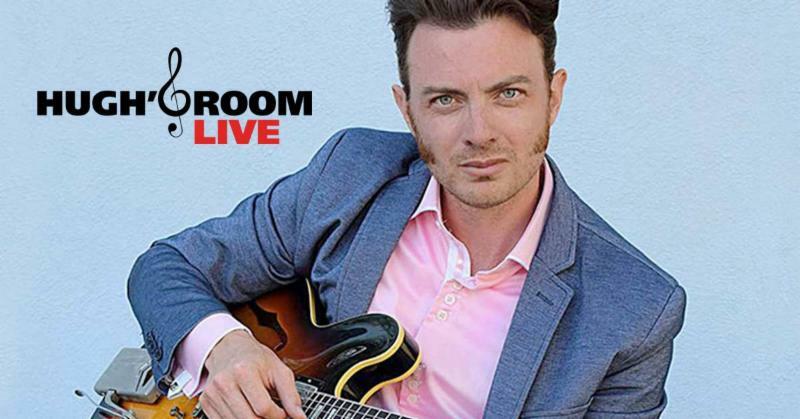 Jordan Officer will be playing Hugh's Room Live tomorrow, Thursday, November 8th at 8:30pm. 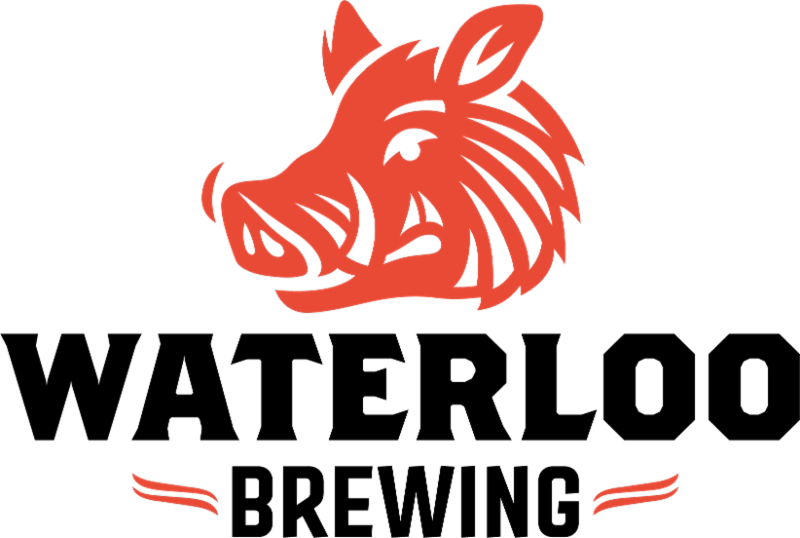 We thank Waterloo Brewing for their year-round sponsorhip with Toronto Blues Society. Last year’s COBALT prize recipient at the Maple Blues Awards, Joe Nolan , has just released a CD and will be playing the Dakota Tavern in Toronto on Nov. 13 at 7pm. Ariana Gillis opens the night.